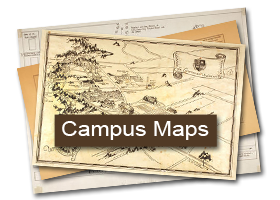 This digital collection consists of approximately 100 images selected from the campus photographs housed in the University’s Archives. 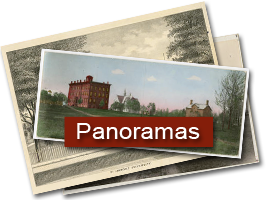 The originals represent almost all photographic formats from the 1860’s to the present: including various print processes, glass plates, slides and digital. 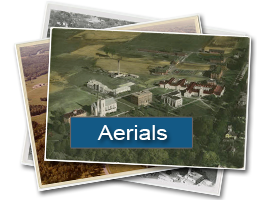 The St Lawrence University campus has evolved in many ways since its founding in 1856. For the first fourteen years the ‘university’ was contained within a single building, College (later renamed Richardson) Hall. It is notable that the second building constructed was a library (Herring) in 1871 with the Cole addition completed in 1902. 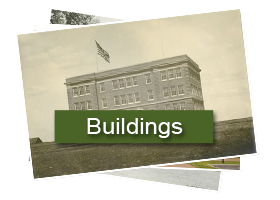 Under the joint leadership of Board Chairman Owen D. Young and President Richard Eddy Sykes, the 1920’s saw a building boom: five new buildings (Brewer, Gunnison, Hepburn, Dean-Eaton, and Sykes in 1930) and the growth of the original 25 acre campus to well over 300 acres (including a golf course). The 1950’s and 60’s saw steady building growth reflecting national post-war trends, capped in 1968 when the adjoining state agricultural school campus (originally a part of SLU) was consolidated with the university, bringing the campus to the 1000+ acres that it is today. The first half-decade of the 21st century witnessed the most recent period of construction, with four major projects completed by 2007.